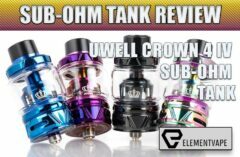 I’m calling it now – 2018 will be the year we see the evolution of the sub-ohm tank. Yeah, it’s a bold statement, but considering the quality of tanks like the FreeMax FireLuke Pro, I’m feeling pretty good about the odds. As much as we loved the bulbous, oddball original FireLuke, it pales in comparison to the streamlined, resin-coated Pro, absolutely buries it, on its way to becoming a contender for next year’s “best of” lists. Yes, already. Let’s dive in and see why. Like we mentioned, the original FireLuke was a great tank, even though it had a strange (but handy) “fishbowl” glass section, which was awesome for adding capacity, but terrible for vapers who are prone to knocking over their devices from time to time. And, while we’ve seen extended glass sections grow in popularity, the gumball machine look was a little extreme – especially when taking the tank out on the town. By comparison, the 25mm FireLuke Pro is much more streamlined, with a straight glass section. In fact, it might be a little TOO streamlined. Though there’s still 4mL of capacity, today’s thirsty coils will lead to a lot of refilling. We’ll get into the coils later, but the 4mL didn’t give us a LOT of time between refills. Still, they weren’t bad – especially when compared to some of today’s larger offerings. Now, let’s talk about the marbled resin finish. We’ve seen a lot of resin these days – to the point where it might be considered overdone. But when it’s done like this – to a high polished sheen — it always looks phenomenal. My swirled green, red and purple test model is awfully loud, to be sure. But like I said in the preview, on a more subdued, simple mod, it makes for a great contrast, and doesn’t ever look out of place. In fact, I’d say the contrast of three primary colors against the plain metal and black exterior of my Wismec Ravage 230 was refreshing. I tend to lean more conservative in my vape mod design, but every now and then, it’s fun to let a little freaky sneak into the routine… especially when it vapes this well. The build and overall construction of the FireLuke Pro is fantastic, with smooth machining, great airflow control. The standard top-fill cap is a breeze to remove and replace, and the wide-bore 810 drip-tip is tall and feels good on the lips, unlike so many of today’s shallow tips. Though I’ve become spoiled by many of today’s “flip top” caps and their convenience, this cap was nearly effortless and never became sticky with condensation or leakage. The original FireLuke coils were winners, but the all-new Firelock series heads are just that much better. The pre-installed 0.15-ohm sextuple coil was broken in after just an hour of steady use, and offered extremely flavorful vapor, even at low to moderate wattages. But what surprised me was how much MORE flavorful the included dual-coil head was. Though it had roughly the same wattage limits and coil resistance as the sextuple offering, the simpler dual-coil head was more flavorful, and actually produced thicker, more abundant vapor. Both coils were extremely long-lasting, as I ran them interchangeably for the better part of two weeks. As of this writing, they’re still going strong, though the dual-coil head is starting to wane a bit. 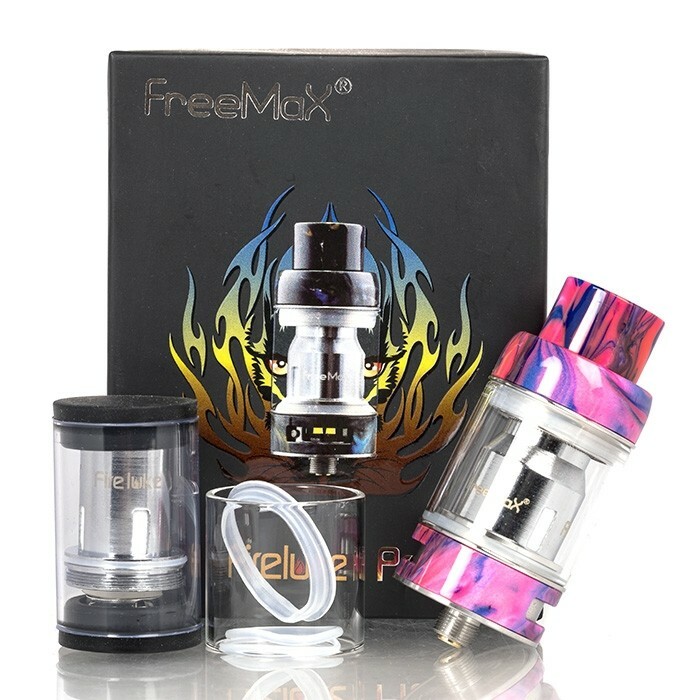 Perhaps the nicest feature of the FireLuke Pro is how the included Firelock coils are compatible with the original FireLuke tank, and vice versa, making this a well-thought-out series of devices. My issues with endless proprietary coils systems are well-documented, so no need to reiterate that diatribe. But suffice it to say, I’m satisfied with what FreeMax is doing here. Still, one thing I loved in the original FireLuke – and arguably the biggest omission from the FireLuke Pro kit – is an RBA head. 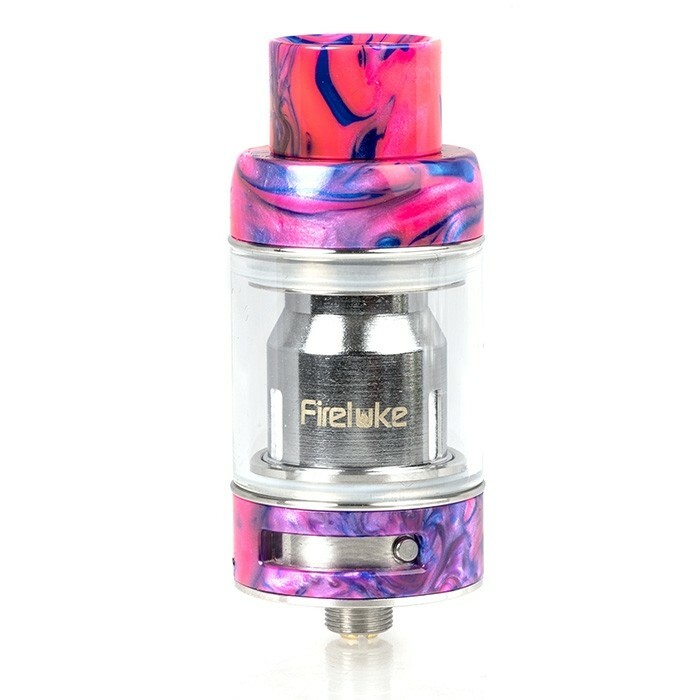 Considering we stated that the FireLuke was an RTA with prebuilt capabilities, I was shocked they left this out. I decided to attach the original FireLuke RBA head to the Pro, and was surprised that it fit so well, yet didn’t perform worth a damn. Through several builds and “adjustments” I just couldn’t get it to vape properly. So, I don’t know if there will be an RBA head option for the Pro, but we’re really hoping that’s the case, since this is a tank I think would benefit from it. So, that’s all the technical information. But how does it vape in the real world? In a word, fantastic. It is quite simply one of the smoothest, most flavorful vapes I’ve enjoyed in some time. I know we say that a lot, but that’s also one of the reasons I feel like 2018 might just be a banner year for this category of vape products. 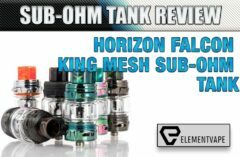 Quite simply, coils are lasting longer, flavor continues to improve, and vapor production is increasing with every iteration of the industry’s leading tanks. 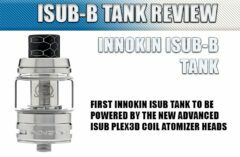 I still prefer building my own coils, but to be completely honest, RTAs haven’t improved nearly as much as the prebuilt tank category, and my tastes are shifting. Perhaps my only concern is FreeMax’s decision to go with only a “straight” glass tank section, rather than using a more squared-off glass, like the SMOK Prince series. I don’t think anyone wants another gumball machine in their collection, but some more capacity options might have been helpful. Again, if you’re blowing through 4mLs an hour, maybe it’s time to reconsider your vape habits. But all the same, today’s cloud chucking, juice swallowing coils demand more room than this slender tank can offer. 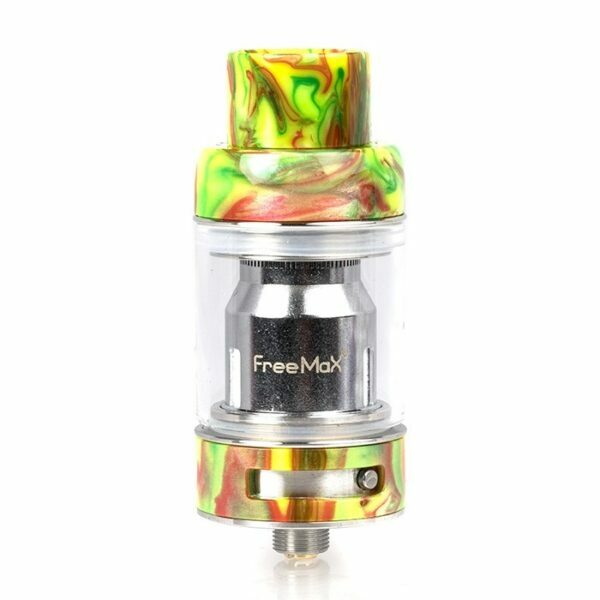 FreeMax has made a well-composed kit that could appeal to high-wattage vapers and newcomers alike. Is the FireLuke Pro the “biggest,” “baddest” or “most” anything? Unless you’re talking about resin colors, not really. 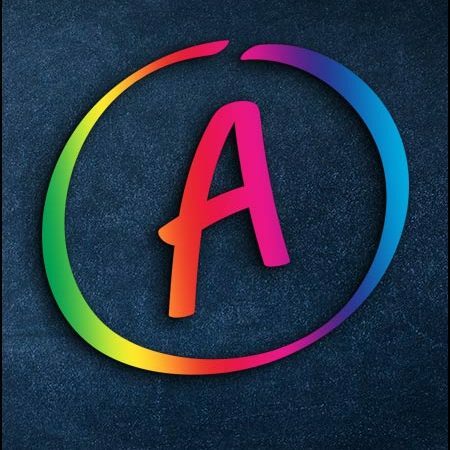 But it is close to the best in almost every area you could imagine and will likely be another end-of-year favorite for a good chunk of our readers. 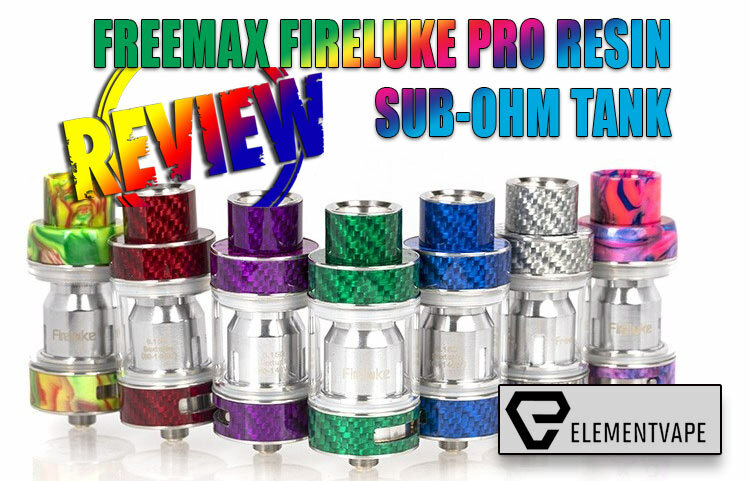 The FreeMax FireLuke FireLock Replacement Coils offers a dynamic atomizer core for the FreeMax FireLuke Sub-Ohm Tank, featuring a 0.15ohm Sextuple Coil with a rated range of 60 to 140W. Definitely making a big difference in flavor fidelity, cloud production, and, believe or not, long life. Coils are also available at Element Vape.